The Federal Government is supporting the establishment of a new Melbourne export hub that will help small and medium businesses better access international markets. 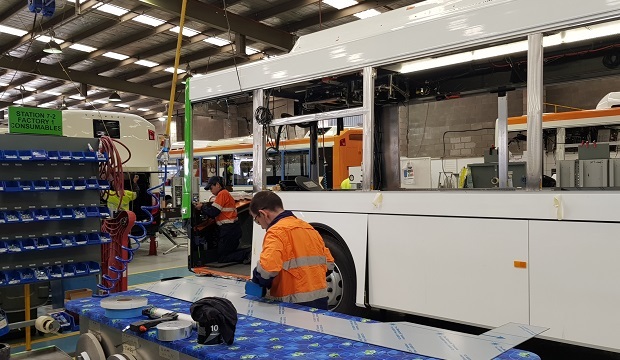 The Rail Haulage Supply Chain Export Hub will be established by Wantirna’s Australian Manufacturing Technology Institute Limited (AMTIL) thanks to the $1.5 million funding support from the Coalition‘s Small and Medium Enterprise (SME) Export Hubs Initiative. Minister for Industry, Science and Technology Karen Andrews said the move will help boost the economy by getting more businesses access to new and bigger markets. She said the hub will help SMEs harness opportunities in international markets, particularly where the Coalition Government has signed free trade agreements – including China, Japan, Korea and Indonesia. “The funding for this hub is integral to helping Australian businesses grow and will ultimately increase local and regional job opportunities in Victoria,” Minister Andrews continued. “The Coalition is committed to supporting small and medium businesses through the SME Export Hubs Initiative and other successful programs like the Entrepreneurs’ Programme and Industry Growth Centres initiative.